Carbide.c++ v1.2 supporting the new Open C SDK plugin is now available for download on forum nokia. Somewhere in my earlier post I mentioned that the n95 would cost around 40K in India, but sites like ebay and univercell have priced it for ~ 34K. Many of my friends are in search of a new phone, they have been asking me for suggestions for some 3/4 months now. According to their feature requirements I suggested quiet some phones having S60 3rd Ed, but all these phones were like announced and none of them were in the market. They decided to wait. Some of these phones are the N76 , 6290, E90, E61i. I wonder why phones are announced so early. Nokia : 5700 XpressMusic and 6120. Many of us have more than one phone, now even I fall under that category. I just won E61 in a contest and so have been using both my phones often.So how did i copy all my hundreds of contacts,notes and calender entries to the new one, MOBICAL. Not only it helped me to transfer, it also keeps both my phones contents in Sync. I was at the OpenC event held in Bangalore. Got lots of info about what OpenC actually is, about ForumNokia, about SymbianSigned process etc.. Met lots of people. Watch out for an OpenC competition with cash prize worth $20,000. 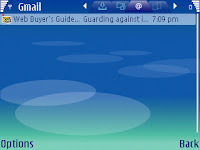 There's this n95 campaign going on 'Whats in your pocket', try your luck and you can win a Nokia n95. 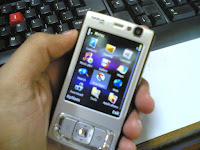 Some pictures I managed to take of the N95 with my 6630. Great phone , fast response , fantastic camera rightly called a "Multimedia computer". 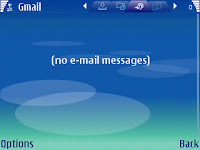 To know more about your nokia phone just visit Forum Nokia. Here you will know which OS your phone supports , the cpu speed, detailed memory info, developer platform,java technology and loads of other information. On the E50 and the n73 I noticed that to increase the volume in Media player one has to use the keys provided at the side of the phone. Pretty annoying because the left/right joystick could be used instead. The good thing is that it works on the E61 & the n95 (may be more phones). 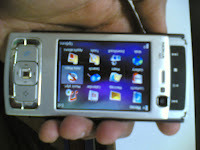 BTW i just got my hands on the n95, gr8 phone. Will post more on it later with pics. 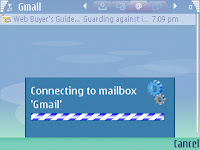 I have configured Gmail on E61. When I get a new mail and I choose to see the mail it disappers. A 'Connect to mailbox' option pops up when I press 'Show' for the new mail. 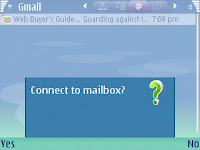 If 'Yes' is selected on 'Connect to mailbox' the mail dissapears, if 'No' then it remains. This is strange, i noticed that i can dial p and after that w on the idle screen of my E61. Dont understand the purpose. VVStrange. Yeah, the advertisments for the n95 "Multimedia computer" are out. 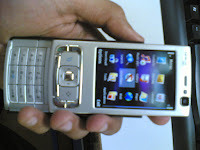 Undoubtedly its the most awaited phone for all symbian freaks and its my favourite too. Priced around $750 in internationally , so its something close to 32/33K here. 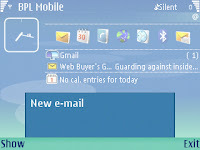 I always loved this feature on sony ericsson where you could toggle between general/silent with one touch button. Wished it was there on nokia's. You know what, its already there. Been using my 6630 for 2 years now and today i came to know that a long press on # toggles between general/silent. Just read on Darla's blog , it says it works for most of nseries devices. Just tried it on my 6630 it worked :D , doesn't work on my friends 6681 though. More info here, seems pretty impressive. It was Saturday, February 10, 2007 when i posted about v9.3. The homepage for OpenC is here. SDK out too :) , prerequisite : S60 3rd ed MR or S60 3rd Ed FP1 +.